We Haven't done many Shows with him but every show he has been in he has won. This is his First Show we had taken him to. 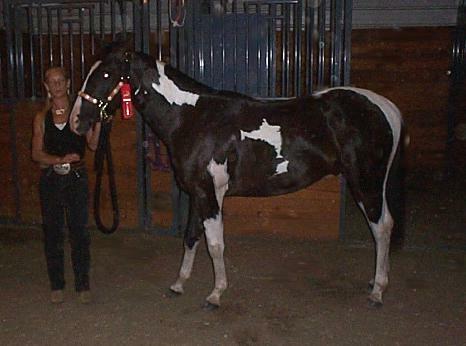 My first time I had ever shown in a Halter Class. So I think we did rather well for our First Time Out. 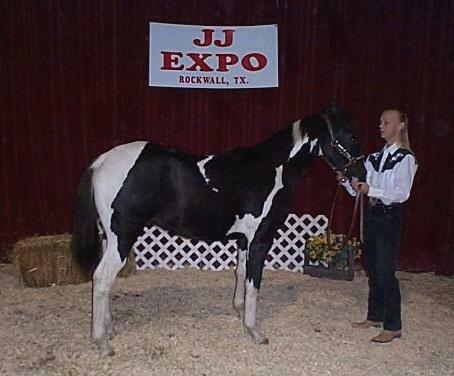 The Show was in Rockwell, Texas at the JJ Expo. 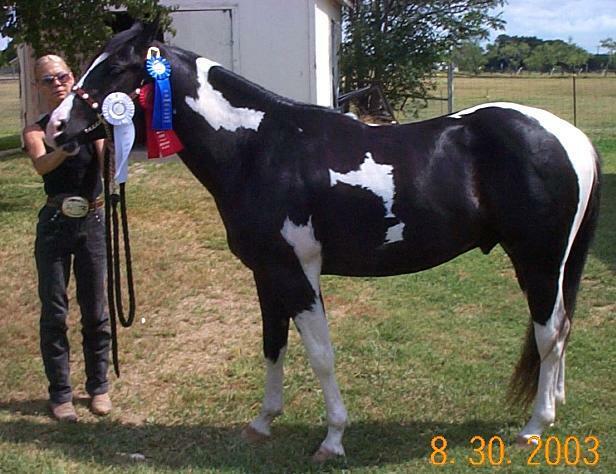 He Placed First and Second in his Halter Classes. I took Thunder to a Seminar in Terrell, Texas. The Place was Mystic Acres. There was a lot of the horses there that were really great. 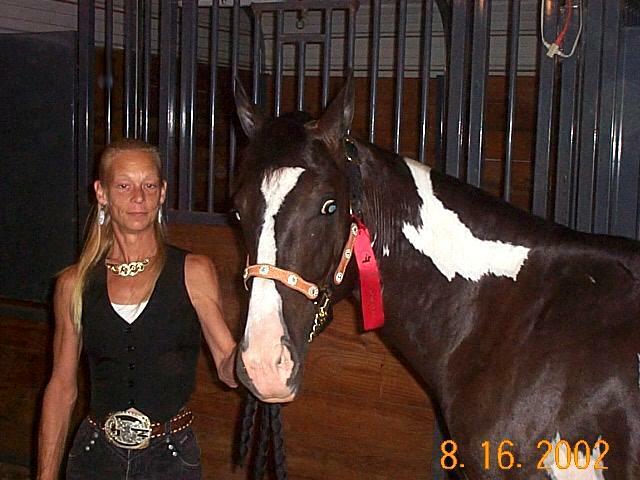 He Placed Second in Halter Class. These Pictures had to be taken at Home after the Show. My husband Jim had to work that night. So when he got home he took them for us. He is still doing really great. I am sure he will keep up the good work. He has already proven himself to us though. I took Thunder to Terrell, Texas at Mystic Acres. We were hoping to be able to do more this year.